Dr Pang-Ning Tan is a Professor in the Department of Computer Science and Engineering at Michigan State University. He received his M.S. degree in Physics and Ph.D. degree in Computer Science from University of Minnesota. His research interests focus on the development of novel data mining algorithms for a broad range of applications, including climate and ecological sciences, cybersecurity, and network analysis. He has published more than 150 technical papers in the area of data mining, including top conferences and journals such as KDD, ICDM, SDM, CIKM, IJCAI, TKDE, and DMKD. He also served as associate editor and program committee chairs for several international journals and conferences. His research has been supported by the National Science Foundation, Office of Naval Research, Army Research Office, National Aeronautics and Space Administration, National Oceanic and Atmospheric Administration, National Institutes of Health, and Michigan State University. Click here for his latest CV, including publications. Boyang Liu, Pang-Ning Tan, and Jiayu Zhou. Augmented Multi-Task Learning by Optimal Transport. To appear in Proceedings of the SIAM International Conference on Data Mining (SDM 2019), Calgary, Canada (2019). Qi Wang, Claire Boudreau, Qixing Luo, Pang-Ning Tan, and Jiayu Zhou. Deep Multi-view Information Bottleneck. 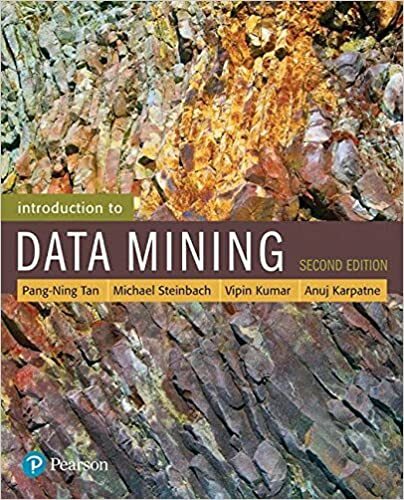 To appear in Proceedings of the SIAM International Conference on Data Mining (SDM 2019), Calgary, Canada (2019). Sarah Collins, Shuai Yuan, Pang-Ning Tan, Sam Oliver, Jean-Francois Lapierre, Kendra Cheruvelil, Emi Fergus, Nicholas Skaff, Joe Stachelek, Ty Wagner, and Patricia Soranno. Winter Precipitation and Summer Temperature Predict Lake Water Quality at Macroscales. Water Resources Research, doi: 10.1029/2018WR023088 (2019). Tyler Wilson, Pang-Ning Tan, and Lifeng Luo. A Low Rank Weighted Graph Convolutional Approach to Weather Prediction. In Proceedings of IEEE International Conference on Data Mining (ICDM 2018), Singapore (2018). Xi Liu, Pang-Ning Tan, Zubin Abraham, Lifeng Luo, and Pouyan Hatami. Distribution Preserving Multi-Task Regression for Spatio-Temporal Data. In Proceedings of IEEE International Conference on Data Mining (ICDM 2018), Singapore (2018). Qi Wang, Pang-Ning Tan, and Jiayu Zhou. Imputing Structured Missing Values in Spatial Data with Clustered Adversarial Matrix Factorization. In Proceedings of IEEE International Conference on Data Mining (ICDM 2018), Singapore (2018). Boyang Liu, Pang-Ning Tan, and Jiayu Zhou. Enhancing Predictive Modeling of Nested Spatial Data through Group-Level Feature Disaggregation. In Proceedings of the 24th ACM SIGKDD International Conference on Knowledge Discovery and Data Mining (KDD 2018), London, England (2018). Jianpeng Xu, Xi Liu, Tyler Wilson, Pang-Ning Tan, Pouyan Hatami, and Lifeng Luo. MUSCAT: Multi-Scale Spatio-Temporal Learning with Application to Climate Modeling. In Proceedings of the 27th International Joint Conference on Artificial Intelligence (IJCAI 2018), Stockholm, Sweden (2018). Coutland VanDam, Pang-Ning Tan, Jiliang Tang, and Hamid Karimi. CADET: A Multi-View Learning Framework for Compromised Account Detection on Twitter. In Proceedings of IEEE/ACM International Conference on Social Networks Analysis and Mining (ASONAM 2018), Barcelona, Spain (2018). Farzan Masrour, Pang-Ning Tan, Abdol-Hossein Esfahanian, and Courtland VanDam. Attributed Network Representation Learning Approaches for Link Prediction. In Proceedings of IEEE/ACM International Conference on Social Networks Analysis and Mining (ASONAM 2018), Barcelona, Spain (2018). Xi Liu, Pang-Ning Tan, and Lei Liu. STARS: Soft Multi-Task Learning for Activity Recognition from Multi-Modal Sensor Data. In Proceedings of the 22nd Pacific Asian Conference on Knowledge Discovery and Data Mining (PAKDD-2018), Melbourne, Australia (2018). Samantha K Oliver, C. Emi Fergus, Nicholas K. Staff, Tyler Wagner, Pang-Ning Tan, Kendra Spence Cheruvelil, and Patricia A. Soranno. Strategies for effective collaborative manuscript development in interdisciplinary science teams . Ecosphere, 9(4), e02206 (2018). Jingbo Meng, Wei Peng, Pang-Ning Tan, Wuyu Liu, Ying Cheng, and Arram Bae. Diffusion size and structural virality: The effects of message and network features on spreading health information on twitter . Computers in Human Behavior, 89: 111-120 (2018). Saleem Alhabash, Courtland Vandam, Pang-Ning Tan, Sandy Smith, Greg Viken, Duygu Kanver, Liang Tian, and Luiz Figueira. 140 Characters of intoxication: Exploring the prevalence of alcohol-related tweets and predicting their virality . Sage Open (2018). Jean-Francois Lapierre, Sarah Collins, David Seekell, Kendra Cheruvelil, Pang-Ning Tan, Nicholas Skaff, Zofia Taranu, Emi Fergus, and Patricia Soranno. Similarity in spatial structure constrains ecosystem relationships: Building a macroscale understanding of lakes. . Global Ecology and Biogeography, 27:10, 1251-1263 (2018). Shuai Yuan, Jiayu Zhou, Pang-Ning Tan, Emi Fergus, Tyler Wagner, and Patricia Soranno. Multi-Level Multi-Task Learning for Modeling Cross-Scale Interactions in Nested Geospatial Data . In Proceedings of the IEEE International Conference on Data Mining (ICDM-2017), New Orleans, LA (2017). Courtland Vandam, Jiliang Tang, and Pang-Ning Tan. Understanding Compromised Accounts on Twitter. In Proceedings of the IEEE/WIC/ACM International Conference on Web Intelligence (WI-2017), Leipzig, Germany (2017). Xi Liu, Pang-Ning Tan, Lei Liu, and Steve Simske. Automated Classification of EEG Signals for Predicting Students' Cognitive State during Learning. In Proceedings of the IEEE/WIC/ACM International Conference on Web Intelligence (WI-2017), Leipzig, Germany (2017). Shuai Yuan, Pang-Ning Tan, Kendra Cheruvelil, Nick Staff, Emi Fergus and Patricia Soranno. Learning Hash-Based Features for Incomplete Continuous-Valued Data. In Proceedings of SIAM International Conference on Data Mining (SDM-2017), San Antonio, TX (2017). Jianpeng Xu, Pang-Ning Tan, Jiayu Zhou, and Lifeng Luo. Online Multi-task Learning Framework for Ensemble Forecasting . IEEE Transactions on Knowledge and Data Engineering 29(6): 1268-1280 (2017). Kendra Spence Cheruvelil, Shuai Yuan, Katherine E. Webster, Pang-Ning Tan, Jean-Francois Lapierre, Sarah M. Collins, C. Emi Fergus, Caren E. Scott, Emily N. Henry, Patricia A. Soranno, Christopher T. Filstrup, and Tyler Wagner. Creating multi-themed ecological regions for macroscale ecology: Testing a flexible, repeatable, and accessible clustering method . Ecology and Evolution, 7(9):3046-3058 (2017). Noah R Lottig, Pang-Ning Tan, Tyler Wagner, Kendra Spence Cheruvelil, Patricia A Soranno, Emily H Stanley, Caren E Scott, Craig A Stow, and Shuai Yuan. Macroscale patterns of synchrony identify complex relationships among spatial and temporal ecosystem drivers . Ecosphere, 8(12), e02024 (2017). Jianpeng Xu, Jiayu Zhou, Pang-Ning Tan, Xi Liu and Lifeng Luo. WISDOM: Weighted Incremental Spatio-Temporal Multi-Task Learning via Tensor Decomposition. In Proceedings of IEEE International Conference on Big Data, Washington, DC (2016). Jianpeng Xu, Pang-Ning Tan, Lifeng Luo, and Jiayu Zhou. GSpartan: a GeoSpatio-Temporal Multi-task Learning Framework for Multi-location prediction. In Proceedings of SIAM International Conference on Data Mining (SDM-2016), Miami, FL (2016). Jianpeng Xu, Jiayu Zhou, Pang-Ning Tan, and Kaixiang Lin. Synergies that Matter: Efficient Interaction Selection via Sparse Factorization Machine. In Proceedings of SIAM International Conference on Data Mining (SDM-2016), Miami, FL (2016). Ding Wang, Prakash Mandayam Comar, and Pang-Ning Tan. Crowdsourcing of Network Data In Proceedings of IEEE International Joint Conference on Neural Networks (IJCNN- 2016), Vancouver, Canada (2016). Courtland VanDam and Pang-Ning Tan. Hashtag Hijacking from Twitter Data. In Proceedings of ACM Web Science Conference (WebSci-2016), Hanover, Germany (2016). Xi Liu, Han Hee Song, Mario Baldi, and Pang-Ning Tan. Macro-scale Mobile App Market Analysis using Customized Hierarchical Categorization. In Proceedings of IEEE International Conference on Computer Communications (INFOCOM-2016), San Francisco, CA (2016). Shuai Yuan, Pang-Ning Tan, Kendra Cheruvelil, Sarah Collins, and Patricia Soranno. Constrained Spectral Clustering for Regionalization: Exploring the Trade-off between Spatial Contiguity and Landscape Homogeneity. In Proceedings of the 2015 IEEE Int'l Conf on Data Science and Advanced Analytics, Special Session on Environmental and Geo-spatial Data Analytics, Paris, France (2015). Lei Liu, Pang-Ning Tan, and Xi Liu. MF-Tree: Matrix Factorization Tree for Large Multi-Class Learning. In Proceedings of the 24th ACM International Conference on Information and Knowledge Management (CIKM-2015), Melbourne, Australia (2015). Jianpeng Xu, Jiayu Zhou, and Pang-Ning Tan. FORMULA: Factorized Multi-task Learning for task discovery in personalized medical models. In Proceedings of SIAM International Conference on Data Mining (SDM-2105), Vancouver, Canada (2015). Patricia A Soranno, Edward G Bissell, Kendra S Cheruvelil, Samuel T Christel, Sarah M Collins, C Emi Fergus, Christopher T Filstrup, Jean-Francois Lapierre, Noah R Lottig, Samantha K Oliver, Caren E Scott, Nicole J Smith, Scott Stopyak, Shuai Yuan, Mary Tate Bremigan, John A Downing, Corinna Gries, Emily N Henry, Nick K Skaff, Emily H Stanley, Craig A Stow, Pang-Ning Tan, Tyler Wagner, and Katherine E Webster. Building a multi-scaled geospatial temporal ecology database from disparate data sources: fostering open science and data reuse. GigaScience, 4(1): 1-15 (2015).